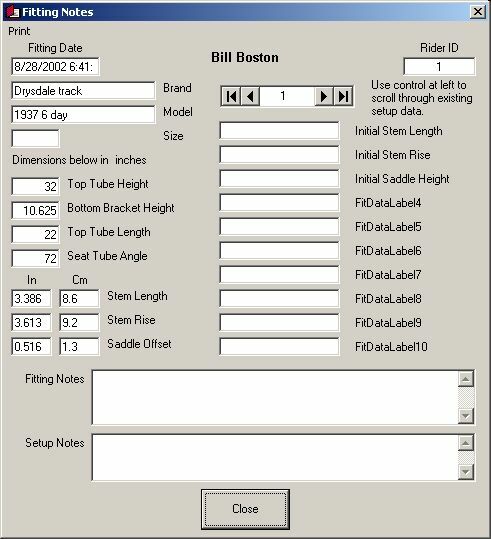 Notes, frame measurements and setup data for each fit can be reviewed and edited at any time from the Rider Data form. The form below shows some of the things that you may want to track. The labels for the 10 fields on the right side of the form are those that we previously supplied some custom labels for. These are for short but individual types of information that you collect about all fittings. Below, are two free form note fields that will expand to hold even the longest notations on both the fitting and the bike setup.